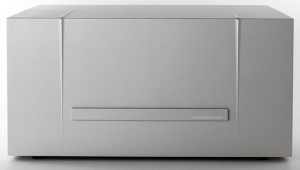 Over the course of his 30-plus years in high-end audio, Nelson Pass's designs have never been far from the leading edge. In his first Threshold amplifiers he pioneered the use of dynamically adjusting bias and cascode circuitry; then, in the later Stasis models, he switched gears to the simpler approach of pure class-A. 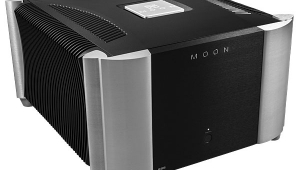 All were innovative designs, and among the very best-sounding amps of their time, but were just warmups for what was to come. 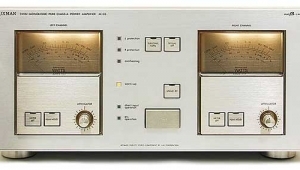 In 1991, Pass Labs introduced the Aleph 0, a class-A amplifier that was a startling departure from conventional solid-state designs and combined design elements generally thought mutually exclusive: transistors, single-ended operation, and the ability to output 75Wpc into an 8-ohm load. 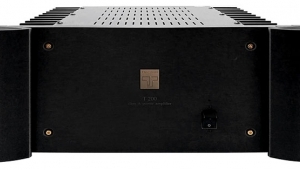 Not surprisingly, the Aleph 0 sounded like nothing else, and became the basis for the widely acclaimed series of Pass Labs amplifiers that evolved over the next decade. Pass's designs have varied widely, but all reflect his quest for simplicity. It's considered a self-reinforcing design philosophy: simple circuits and a minimum number of gain stages result in less distortion being generated, ergo less need for feedback and the additional gain needed to offset it. This approach leads to low-distortion, typically smaller devices that operate under optimal class-A conditions. 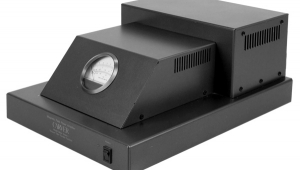 The challenge has always been to accomplish these goals in an amplifier with enough power and current capacity to drive insensitive audiophile loudspeakers. 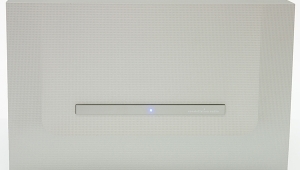 Dynamically adjusting bias, cascoding, Stasis, Supersymmetry, and the hybrid configuration in Pass's XA.5 series are different ways to enable the simplest possible gain circuit to do the job. 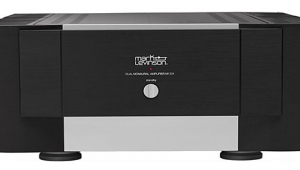 The X.5 and XA.5 series of amplifiers are the second respective generations of the original X and XA series. The X models, beginning with the X1000 in 1998, were the first implementation of Nelson Pass's patented Supersymmetric topology (see "Nelson Pass on the Patents of Pass"). The XA series, which debuted four years later, combined Supersymmetry with the single-ended class-A operation of the Aleph series. The XA and XA.5 models run substantially hotter and produce about half the power of their X and X.5 counterparts, which operate in class-A at low levels but switch to class-AB for most of their dynamic range. Though the .5 designs aren't entirely "new," they incorporate enough small changes to merit the designation. 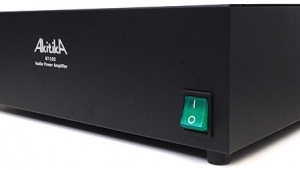 Nelson's amplifiers, whether they were his earlier designs for Threshold or his later ones for Pass Labs, have always been on my wish list, so I was delighted when the opportunity arose to review one of the latest Pass amps. I was a little surprised, however, at Nelson Pass's suggestion that I audition the XA30.5. I'd expected a pair of X1000.5 monoblocks perhaps, or maybe XA200.5s, if he thought they'd do the job...but a nominally 30Wpc stereo amp? 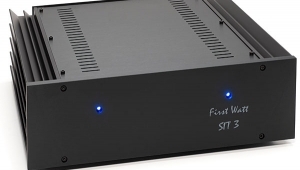 I double-checked, and yes, he did know what speakers and other amplifiers I was using, and yes, he was aware of the sort of gear I usually reviewed. Despite all thatactually, because of all thathe reiterated his preference that I audition the little guy. 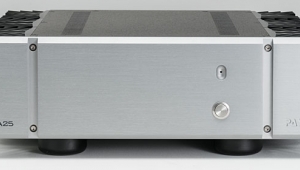 The smallest amplifier in the Pass Labs line, the XA30.5 retails for $5500. It's hardly a featherweight, though, because producing 30Wpc of pure class-A power requires a lot of hardware. 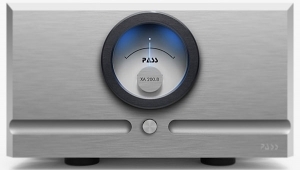 The XA30.5 shares the handsome industrial design Desmond Harrington created for the larger Pass Lab amps: a mix of strong, simple shapes and textures surrounding a glowing blue power meter. The overall impression is one of strength and elegance. Were the XA30.5 a car, it would be something beautiful yet purposeful, like a Ferrari 599GTBmidway between the soft curves of a Jaguar XKR and the angular menace of a Lamborghini Gallardo LP560-4. The XA30.5's inner workings are similarly well executed. The boards are nicely laid out and well labeled, the wiring routes simple, the parts all of top quality. The mechanical assembly is similarly well thought out, and the workmanship is excellent throughout. 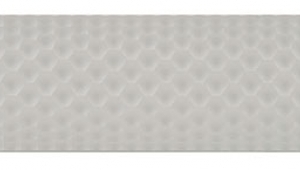 There are relatively few boards, reflecting the simple, symmetric nature of the design. One board just behind the front panel holds the meter and Standby/Operate switch. There are two more boards at the rear of the chassis: The lower one contains the power-supply electronics, the upper one the bias circuitry. The upper board also acts as a mother supporting two daughter boards. Each of these is what Pass calls a Universal Gain Stage (UGS), which consists of a cascoded input and a voltage gain stage. Two more boards run the full length of the chassis, one along each side. These are the output stages, each comprising 10 pairs of power MOSFETs. Because the XA30.5 is a fully balanced design, this translates to five complementary pairs each for the plus and minus legs. The front half of the chassis is filled, nearly top to bottom, with a huge Plitron toroidal transformer that no doubt accounts for most of the amp's 75 lbs. This simple, three-stage topology is common throughout the Pass line, the major differences being in the power supplies and biasing. 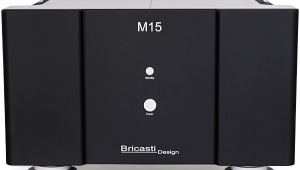 In the XA.5 amps the bias is set quite high, so that the output stage operates in class-A up to the rated output and emulates a single-ended amplifier at low levels. Pass described this to me as "a push-pull output stage in parallel with a constant current source. The n channel, which handles the push, or plus, side of the push-pull, is biased at a higher level than the p, or negative channel. At very low power levels, the p channel doesn't see the current source and the output is effectively that of the n channel functioning in single-ended mode. 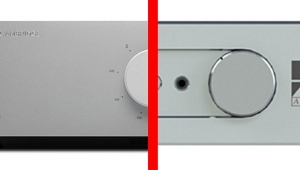 At higher levels, both n and p devices contribute to the output as a push-pull pair, operating in class-A mode up to the amp's rated output and class-AB beyond that point." The XA30.5 was very simple to set up and operate. 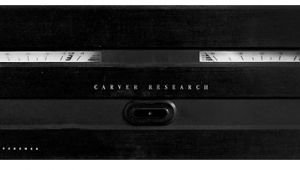 On the rear panel are balanced and unbalanced inputs, a single set of hefty binding posts for speaker cablesthe user is warned not to connect either terminal to groundanother set of lugs to bring in a 12V trigger signal if desired, a removable power cord, and an on-off switch. The amp is intended to be left on at all times, and switched between its Standby and Operate modes via a toggle switch just below the meter. I let the XA30.5 burn in for two weeks before doing any listening, then left it on throughout the review period. At least an hour before each listening session, I switched the amp to Operate to let it warm up.